I love October! Autumn is well and truly here, which means cosy nights, candles, lovely autumnal smells in the air, and the chance to get really carried away with makeup, because it's Halloween! I basically love any excuse to play with ridiculous eyeshadow and colour in my face, so I'll be blogging a Halloween tutorial every Monday in October! You can see all of my previous Halloween posts here or look up a specific tutorial on my how-to page (I'm still pretty pleased with my super gory zip face from last year!). 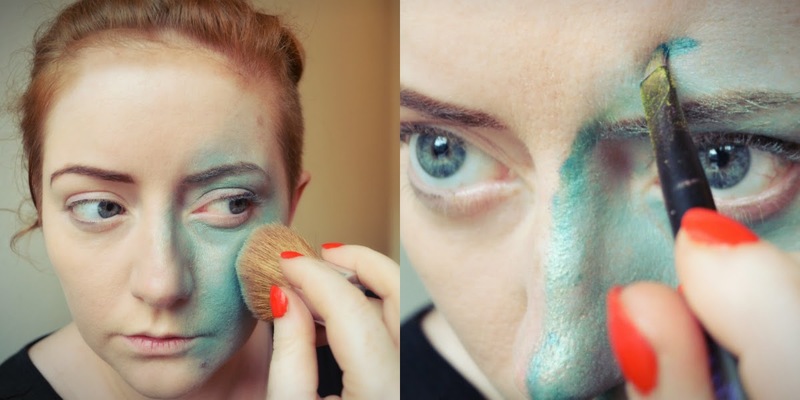 To start, use a brush to start colouring in your face green. You want this colour to really stand out, so make sure you layer it until it's nice and bright! Then use a smaller brush to outline the shape. I used a slightly darker green to give it some depth. Outline the shape using a series of short criss-crosses that (hopefully!) look a bit like stitches. I used a black eyeliner pen to do this. Then start colouring in your eye with a purple eyeshadow. You want the eye to look a bit bruised and spooky, so add the purple colour all round your eye - to the top of your eyebrow, in the corner of your eye, and blend it down your cheek. 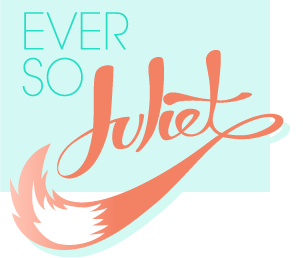 Don't worry about being too precise with this - just do what looks good. I added little splashes of hot pink on the top of my cheek too. Add black eyeshadow onto your eyelid and along your lower lash line. Do your other eye as normal - I did a smoky eye using gold and bronzes (tutorial here! ), added a flick of liquid eyeliner to both, neatened up my brows, and added false eyelashes and mascara. After seeing it come together, I added another green patch to my forehead and drew on more short "stitches" with eyeliner. And that's it! I really like this look. 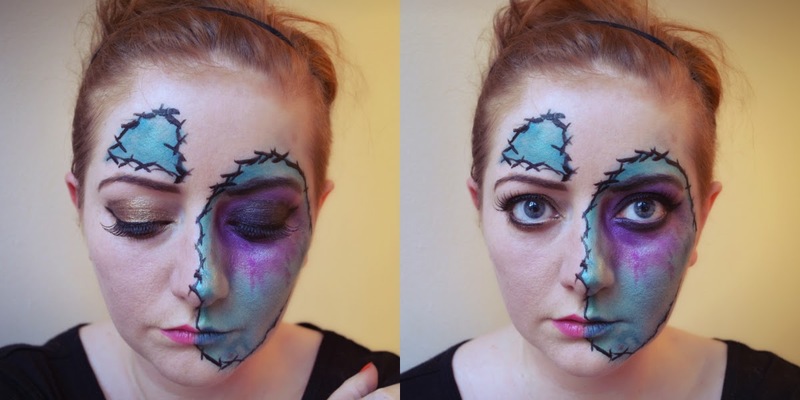 It's SO simple and quick to do, looks suitably creepy, and would be good paired with wild hair/a black dress - good if you are in need of a last-minute halloween costume. I hope that was helpful! I'll post another Halloween tutorial next Monday - please let me know if you have any requests (the gorier the better!). Such a great look - I've not really thought about Halloween yet but fancy having a party or something! 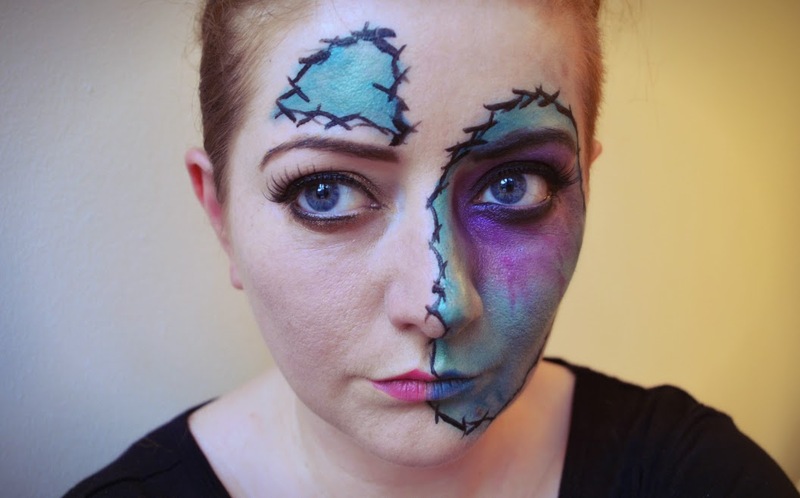 I did some zip face makeup a few years ago, here: http://dinoprincesschar.blogspot.co.uk/2011/10/at-six-oclock-im-out-of-here.html but I'd used an idea from someone else who had a much better tutorial than I could ever do. Oooh I remember reading your post before! I love zip face makeup.